XL-ID Solutions is authorized to submit fingerprints to the Royal Canadian Mounted Police (RCMP) Canadian Criminal Real Time Identification Services (CCRTIS) for searches of the National Repository of Criminal Records. In addition to taking fingerprints electronically, XL-ID Solutions accepts fingerprints that have been taken on paper, converts them to electronic transactions, and submits them directly to CCRTIS for processing. This service is also available to individuals whose fingerprints were taken outside of Canada. XL-ID Solutions is an RCMP-Accredited fingerprinting agency fully equipped with the latest biometric technology to scan your fingerprints and submit them electronically to RCMP. You will receive a certified Canadian criminal record check which is often required for immigration, pre-employment, adoption and more. Send us your fingerprints taken on paper. We will digitize the fingerprints and submit them electronically to the RCMP for a fast processing. We send the original certified Canadian criminal record check document back to any address worldwide using a secure and fast express courier service. Several countries are requesting that certificates be authenticated by Global Affairs Canada (formerly the Department of Foreign Affairs), and legalized by their Embassy here in Canada. For the signatories to the Hague Convention, this process is called the Apostille. We can help you with in this process. You may request an estimate by e-mailing us at info@xl-id.com. We will ensure that everything is done as soon as possible. For information on Vulnerable sector check, please read our "Frequently Asked Questions" section. 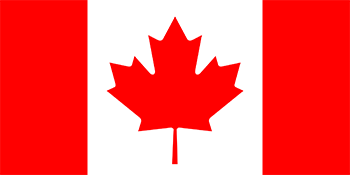 We provide an online order form which can be filled in to obtain your Canadian criminal record check. Further instructions will be sent to you by email once you complete the form. 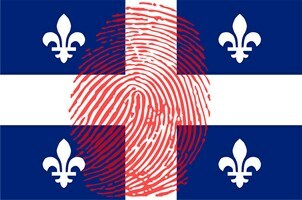 If you are in Montreal and need a Canadian criminal record check, come see us at our office. We will take your fingerprints and electronically submit them to the RCMP for a fast processing. We use an optical fingerprint reader instead of paper and ink. Make sure to book an appointment and bring all the required documents. Solutions XL-ID informs its worldwide customers that the Canada Post employees' strike and work stoppages have come to an end and that the Canadian postal service is back to normal. Given the accumulation of mail, expect some delays in deliveries for the coming weeks. XL-ID Solutions wishes to inform its various Canadian and international customers that a rotating Canada Post workers' strike is in progress for an indefinite period. Management software to gather biographical and biometric data about a person in order to conduct a criminal background check. 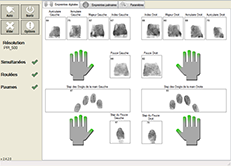 Criminal identity management software offering biometric comparison, handling NIST files and direct electronic link with higher police authorities. Secure accreditation and large event management. Online secure accreditations solution for special events requiring identity management and badging.